There's lots to celebrate at this special edition of our monthly Chefs Series! Tio Flores restaurant joins us for a kick off to Mexican Independence Day and Hispanic Heritage Month celebrations. 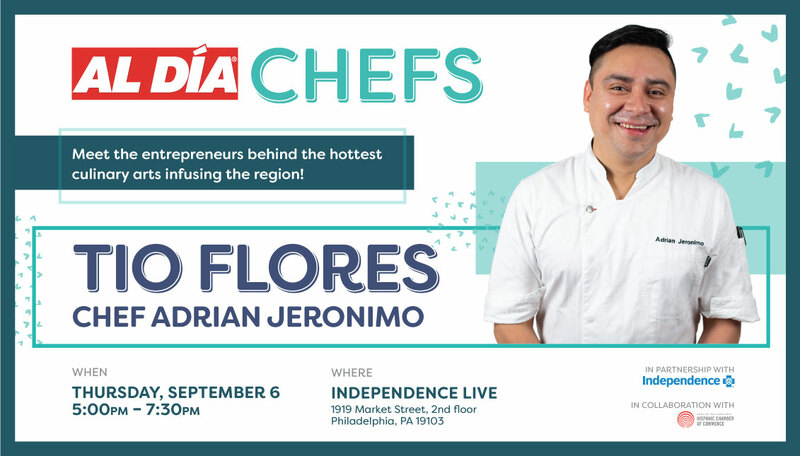 On September 6th, Chef Adrian Jeronimo and the team behind this colorful South Street spot are coming to the kitchen at Independence Live to deliver authentic Mexican flavors and punchy margaritas to end your work day! But be sure to register, space is limited.